A normal heartbeat is controlled by a regular and constant flow of electricity all through the heart. A short circuit at any location along this electrical pathway can disrupt the normal flow of signals, causing an arrhythmia (ie. an irregular heartbeat). Cardiac ablation is a minimally invasive procedure that is used to destroy these short-circuits and to restore normal rhythm, or is used to block damaged electrical pathways from sending faulty signals to the rest of the heart. An ablation is performed by an electrophysiologist (EP), a physician specializing in treating and diagnosing heart rhythm disorders. During a catheter ablation, catheters (narrow flexible tubes) are inserted into a blood vessel, often through a small puncture site in the upper thigh or neck, and guided through the vein under X-ray guidance until they reach the heart. Small Platinum electrodes on the tip of the catheters record and stimulate the activity of the heart. This test, called an electrophysiology study (EPS), allows the EP to pinpoint the exact location of the short circuit. 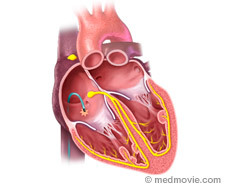 When the location is confirmed, the short circuit is either blocked to reopen the normal electrical pathway or blocked to prevent it from sending faulty signals to the rest of the heart. This is achieved by sending energy through a catheter tip to destroy a small amount of tissue at the site. The energy may be either hot (ie. radiofrequency energy), which cauterizes the tissue, or very cold, which freezes or cryoablates it. 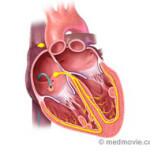 Is a Cardiac Ablation Right for You? If you can’t tolerate or do not wish to take medication to treat your arrhythmia. 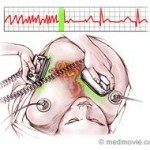 If you have ventricular tachycardia (VT), an ablation is sometimes used in combination with an ICD. If your arrhythmia can’t be controlled with medication or lifestyle changes. 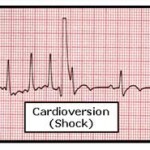 If you have a supraventricular tachycardia.